Small button on the right of the press watches. 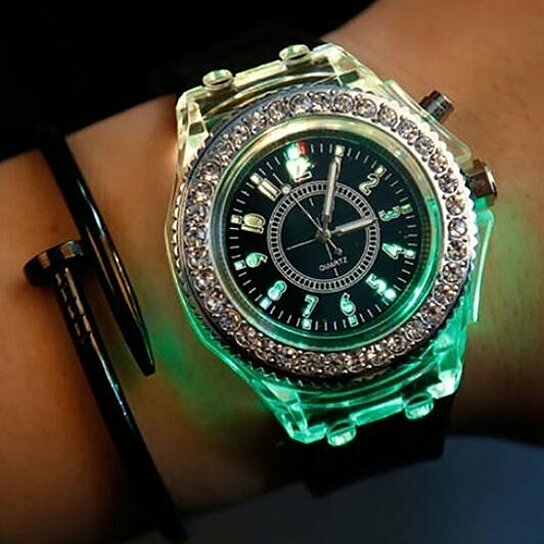 Watches will light on dark place at night time if you need to see, you can click, it flashed colored lights(about 6 to 7 colors in flash). Soft silicone band, really a good ornament for your daily life. It is a good gift for your friend who you love.